One of the absolute most popular houseplants is the Chinese money plant, better known as Pilea peperomioides. 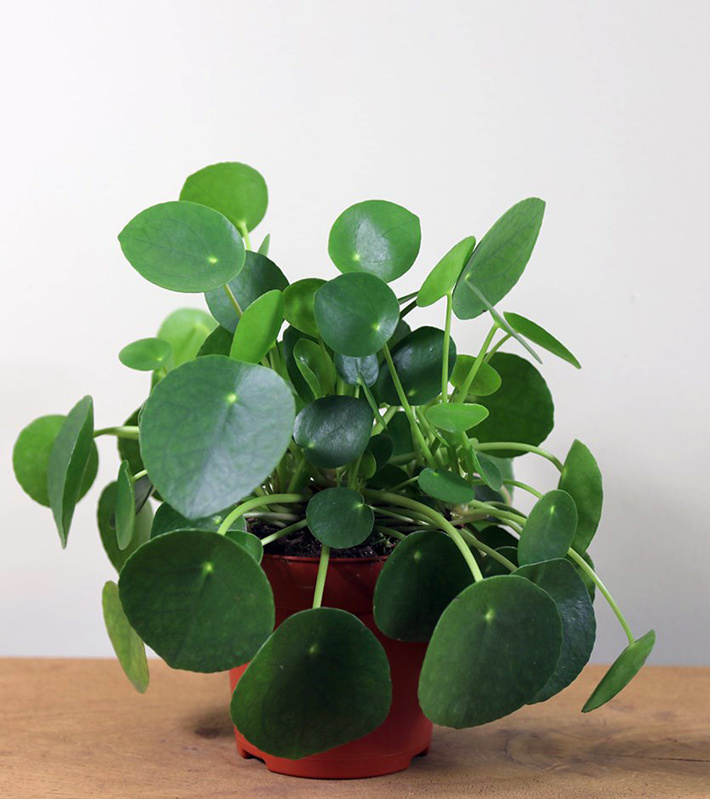 Appreciated for its decorative pancake-shaped leaves and easy propagation, Pilea peperomioides is a great choice for anyone, whether beginner or more experienced, looking to add a little green to their home. 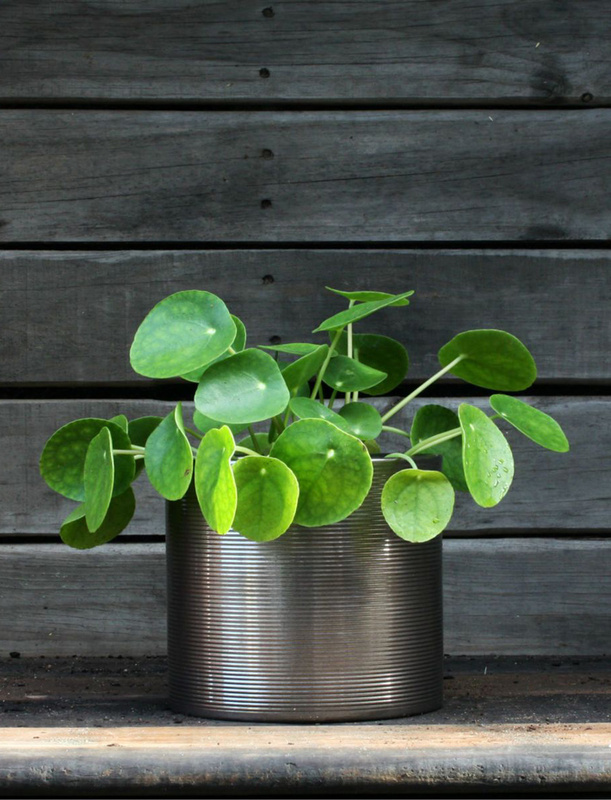 Keep reading for everything you need to know about Pilea peperomioides care and growing Chinese money plant in your own home! 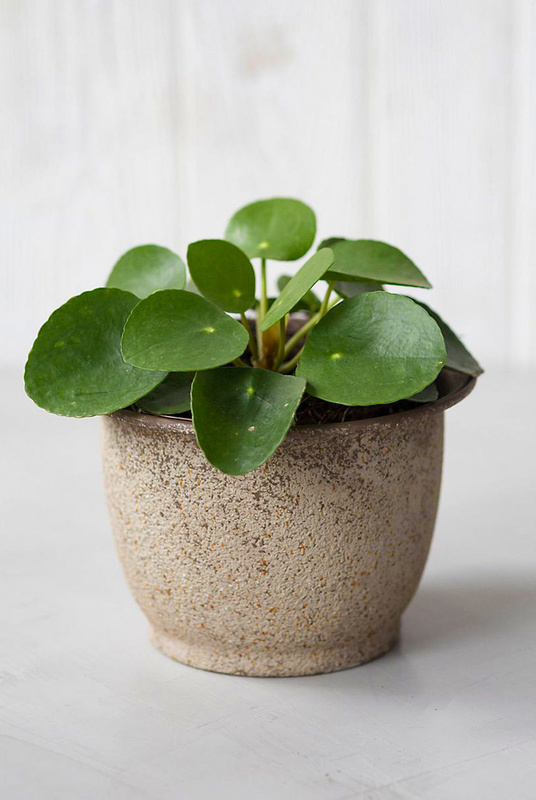 The Chinese money plant, also known as the missionary plant, lefse plant, pancake plant, UFO plant, or just pilea (short for its scientific name of Pilea peperomioides) is originally from the southwestern Yunnan province of China. Popular lore maintains that a Norwegian missionary, Agnar Espegren, took cuttings home with him in the 1940s, and shared them with friends and family. Those plants were spread throughout Scandinavia, and eventually the world, as people passed cutting between friends. Pilea peperomioides appreciates a location with plenty of light but doesn’t do well in direct sunlight. This means it’s a good idea to avoid any locations that get a lot of direct afternoon sun. A thin, sheer curtain can help to partly block the sun’s scorching rays without depriving your Pilea of light. 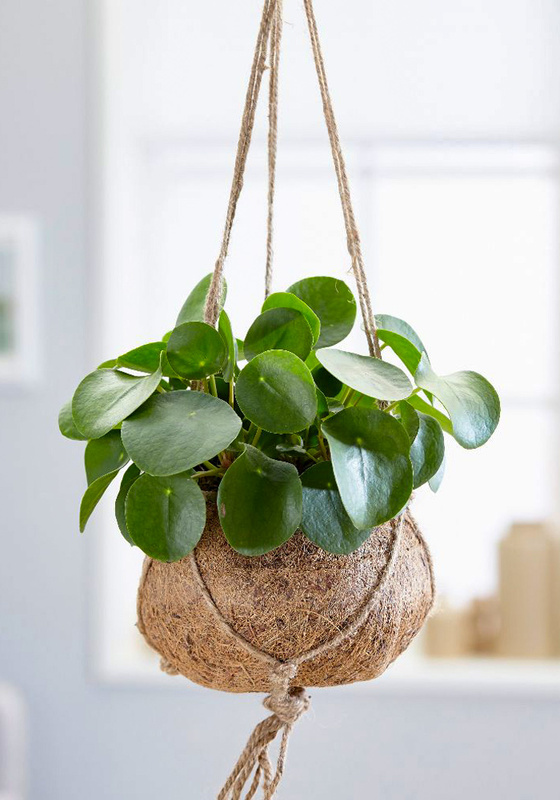 In order to prevent your Pilea from growing lopsided, rotate it at least 2-3 times a week since it grows towards the sun. This plant can adapt to lower light areas, but the leaves will turn a darker green and the plant will spread out more. Although it can be kept outside in warmer regions, Pilea peperomioides is only suitable as a houseplant in most locations. Normal household temperatures between 65-75 degrees are fine. However, make sure that your Pilea does not sit near the heating vents in the winter, as it will drop its leaves. 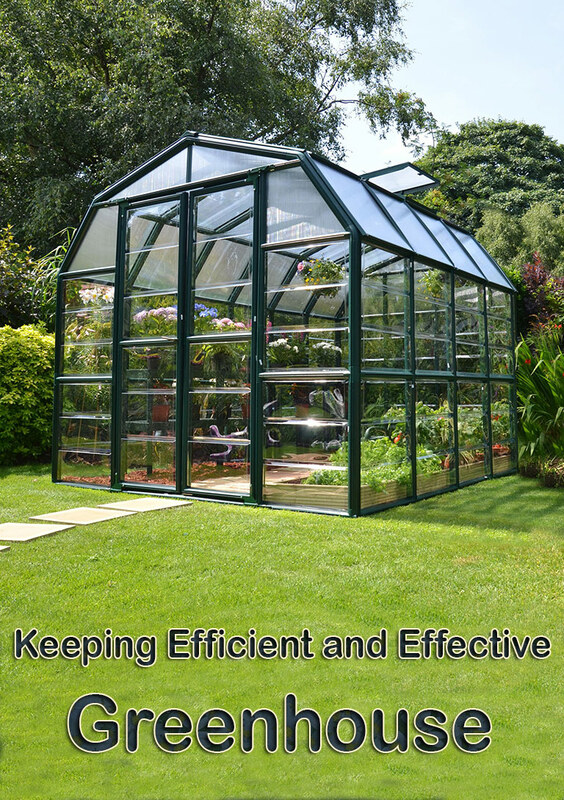 It doesn’t appreciate temperatures below 10 °C/50 °F and should be protected from sudden temperature swings. Pilea peperomioides prefers lightly moist soil but, like many other houseplants, absolutely does not appreciate wet feet. This is definitely something that should be kept in mind while planting in order to prevent possible issues. This means that when you’re looking for soil to plant your Pilea in, you should go for something well-draining. A mix of potting soil with plenty of perlite should work well. Always use a pot with drainage holes for Pilea peperomioides to prevent excess water from causing root rot. A plastic nursery pot is a cheap option that should work well. Many sources recommend avoiding terracotta pots, as these absorb water and allow it to evaporate quickly, causing your Pilea’s soil to become too dry. Not liking the look of nursery pots? Don’t worry, you can place the plant and plastic pot inside a decorative overpot and simply take them out when it’s time for watering. As discussed above, Pilea peperomioides does well when kept slightly moist but excess water should never be allowed to left standing in the pot for extended periods of time. Wet feet can cause root rot, which can spread throughout the entire plant and quickly prove fatal. As with all plants, the amount of water your Pilea needs depends on the amount of light it’s getting. If you’re just starting to figure things out, twice a week during summer should be a good place to start. When wintertime and darker days roll around your plant won’t be growing as vigorously and the soil takes longer to dry out. One watering a week will usually do during this time, although you should keep an extra eye on things if your Pilea is close to a heater. 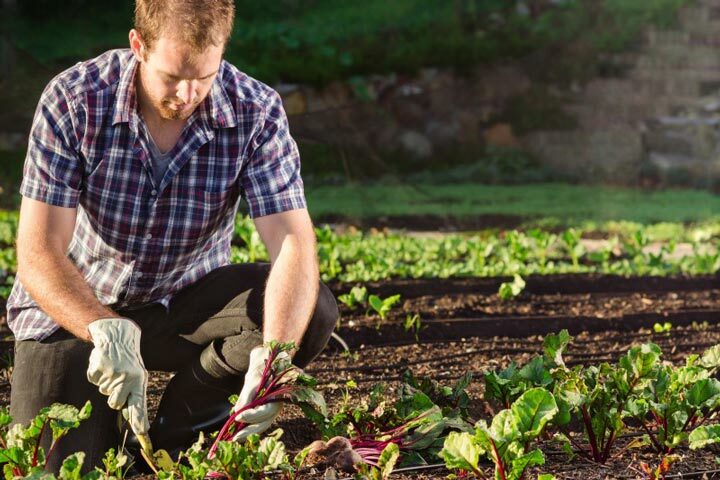 If you’re not sure whether it’s time to water yet, sticking your finger or a chopstick into the soil can help figure out what to do. The soil should have dried out a little but not entirely. If it’s bone dry or soaking wet, adjust your watering schedule accordingly! It is better to apply water to the soil directly. Pouring water to the leaves can cause fungal diseases. One Pilea peperomioides characteristic that has made it so appealing to many houseplant owners around the world is its easy propagation. If all care requirements are being met and your Pilea peperomioides is growing happily, it should actually take care of most of the propagation process itself by producing baby plants on its stem and in the soil. These baby plants can easily be removed and placed into their own pot to give away (or keep for yourself!) once they’re large enough to function on their own. Baby Pilea peperomioides plants growing in the soil next to the mother plant are the easiest option when it comes to propagation. Once these have grown to a size of around 5-7 cm (2-3 inches) they are large enough to separate, which you can do by cutting their connection to the mother plant with a sharp, clean knife. They should already have their own root system and can simply be plopped into a new pot with moist soil. To succesfully separate Pilea peperomioides babies growing on the mother plant’s stem, use a clean sharp knife to remove them. 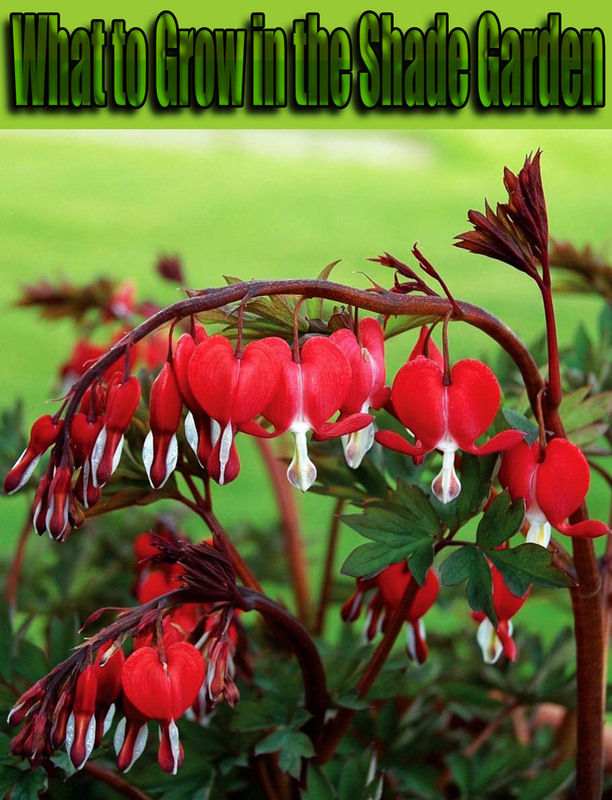 You can then place them in moist soil or keep them in a container with water until they develop their own root system. 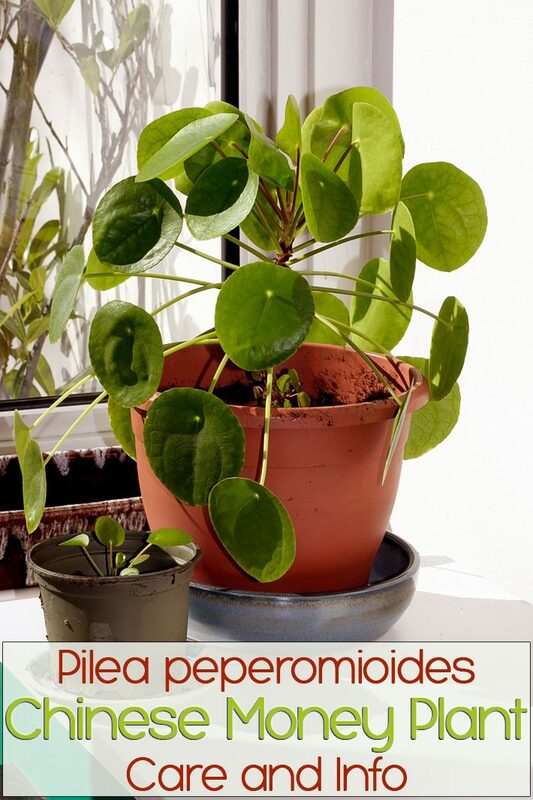 Pilea peperomioides doesn’t require a lot of fertilizer, though you can feed it using a diluted regular houseplant fertilizer once a month or so during the growing season (Spring through early Fall). Is Pilea peperomioides toxic to cats and dogs? Although information about Pilea peperomioides specifically is difficult to find, all plants in the Pilea genus are usually considered non-toxic to both cats and dogs. Chinese money plant is likely no exception and thus, should be safe!